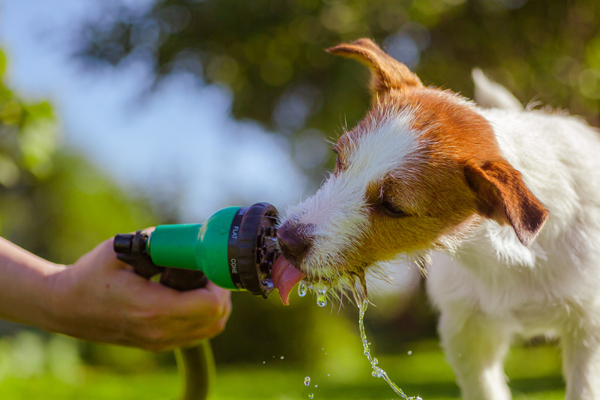 We all love summer … Make sure your dog enjoys summer too! Plenty of clean fresh water. Don’t exercise your dog in the heat of the day. Remember if the pavement is too hot for you to rest your hand on then it is too hot for your dog to walk on! Kids wading pools are a great way for your dog to cool off on a hot day. Freeze a plastic bottle of water and let your dog play with it. Wet towels for your dog to lay on. Fill a bowl with ice cubes. Protect your dogs from biting summer flies and mosquitos. Give your dog a summer clip and keep their coats clean and free of grass seeds. Warrnambool Veterinary on 5561 2255.